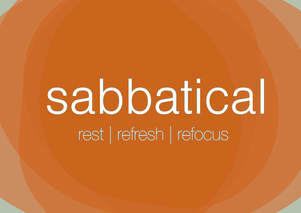 1) ...qualitative rest in the Lord. This does not mean television (for that reason we will fast television throughout the year), nor does it mean taking vacations (we do have a few vacation get-aways planned along our travels, but recognize vacations often times create more tensions rather than lessening them). What this does mean for us is to intentionalize longer periods of time with our Lord... reading and meditating on His Word, praying and giving contemplative reflection to our past, present and future. Pray we have such times in the midst of what is certain to be a fast-moving time of reconnecting with family, friends and ministry partners. 2) ...traveling grace. We will be crossing the USA coast-to-coast in a loaner RV that is an older model requiring more maintenance than we had anticipated. Don't get us wrong... we are thankful! But it has required unforeseen expenditures. Please pray God supplies us the finances in order to successfully make all the travel we anticipate. NOTE: give Him thanks for our tow vehicle, a brand new vehicle leased for us by a dear supporting church! Praise the Lord for His gift to us as we depend upon Him in thanks for this dependable vehicle!!! 3) ...five trips we will make beyond the borders of the continental USA during our sabbatical. One is imminent... a Western Caribbean cruise with all of K.'s extended family December 2-9 in celebration of his parent's 60th anniversary. The ship pulls out of port the very day of their anniversary. We will celebrate and enjoy good times together, a wonderfully welcome commencement of a great holiday season planned this year. The other four trips will be in 2018; more on these trips as things firm up. Suffice to say we need prayer for wisdom to know whether we should do them all, when we would do them if at all and how they all will be done in God's provision and perfect timing. Thank the Lord the cruise has been paid!!! 5) ...life back home in Colombia. Praise Him for our Bogotá home renters who have exceeded our expectations in so many ways! Ask God to not only continue overseeing our home and cherished neighborhood, but also the entire team of the Colombian Sending Base of Frontiers, as well as disciples and cherished friendships we miss. There are many ministry changes in the air and we all need to clearly hear God's voice as we search His heart for His end-time harvest purposes! In a word, we are looking forward to a greater mobilization of His laborers into the unengaged and unreached MusIim fields, trusting Him to show us who might go, when and how. These are exciting times indeed!!! ​and the ends of the earth your possession.